All IPCC Climate Assessment Reports have the same three key features. They contain a summary of observations of various climate factors, which on the whole are well-regarded at least until they start trying to attribute changes. 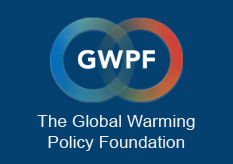 They contain an emphasis on greenhouse gases, caused initially by a charter that directed the IPCC to investigate and report on human induced climate change and after the second assessment report, published in 1995, by instructions to support the UNFCC in its quest to reduce greenhouse gases. A charter and instructions were not the only reasons that the IPCC emphasises greenhouse gases, it’s because the third key feature, climate models, focus them. For items (b) and (c) above, should the estimates be “consistent with observations”, to use IPCC terminology, the IPCC attributes variations in climate to human activities [see section 9.2.1, chapter 9, IPCC 4AR and section 10.2.1, chapter 10, IPCC 5AR]. If a change in conditions is blamed on human activity then other changes that might be related to it are likewise attributed to human activity (e.g. sea ice reduction blamed on higher temperatures). The credibility of the IPCC’s estimates and attributions therefore rely on the accuracy of climate models, and that’s where things fall apart. “This difference between simulated [i.e. model output] and observed trends could be caused by some combination of (a) internal climate variability, (b) missing or incorrect radiative forcing and (c) model response error”. The word “overestimate” appears 22 times and “underestimate” 43 times in the 87-page 5AR chapter discussing the evaluation of models, so something is very clearly wrong. All this might be dismissed as an aberration in 5AR had this not been part of a consistent pattern. Every IPCC climate assessment report has discussed reservations about the accuracy of climate models and often mentioned the poor levels of scientific understanding on which those models were constructed. Figure 2.16 of the IPCC’s second climate assessment report (1995) listed 8 anthropogenic radiative forcings (i.e. influences related to heat transfer by radiation) and the level of scientific understanding (LoSU) of each. In its opinion only greenhouse gases had a high LoSU, the rest all “low” or very low”. The WG I SPM of the IPCC’s third climate assessment report (2001) listed 12 forcings, saying that the LoSU of greenhouse gases was “high”, understanding was “medium” for two other forcings but “low” or “very low” for the rest. In the fourth climate assessment report Table 2.11 listed 16 forcings, with the LoSU of 13 indicated as below “medium”. The fifth climate assessment report claimed that the LoSU for many forcings had been increased but frankly the claim is unconvincing. It should be stressed that the levels of scientific understanding shown above relate only to heat transfer by radiation. Whether details of heat transfer by other methods are well understood is unclear. It is clear from the above that the IPCC knows that climate models perform badly, the exact reasons are unclear, and that accurate modelling is likely to be extremely challenging, if not impossible. The crucial flaw with all IPCC reports is that such reservations are not clearly stated when announcing estimated future temperatures, mankind’s influence on temperature and on extreme weather events, nor I believe can it be expected when models are used to derive a supposed preindustrial temperature. It is extremely likely that more than half of the observed increase in global average surface temperature from 1951 to 2010 was caused by the anthropogenic increase in greenhouse gas concentrations and other anthropogenic forcings together but we admit that this claim is based on the output of climate models known to be seriously flawed. Greenhouse gases contributed a global mean surface warming likely to be in the range of 0.5°C to 1.3°C during the period from 1951 to 2010, … but the climate models from which we derived this information are seriously flawed. It is very likely that anthropogenic forcings have made a substantial contribution to increases in global upper ocean heat content (0–700 m) observed since the 1970s (see Figure SPM.6), but our confidence is based on the output of climate models that are known to be flawed. There has been further strengthening of the evidence for human influence on temperature extremes since the SREX. It is now very likely that human influence has contributed to observed global scale changes in the frequency and intensity of daily temperature extremes since the mid-20th century, and likely that human influence has more than doubled the probability of occurrence of heat waves in some locations, but these statements are based on climate models known to be flawed and our confidence might be excessive. It is very likely that there is a substantial anthropogenic contribution to the global mean sea level rise since the 1970’s. We base this claim on a blithe assumption that the output of climate models that we recognise to be seriously flawed is in fact accurate. With this refreshing honesty the IPCC’s claims are nowhere near as convincing as they have been portrayed to date. Statements in the Summary for Policymakers look very questionable as any kind of basis upon which to form government policy. Earlier IPCC reports are as bad or worse. The fifth assessment report discusses the serious flaws in in climate models but at the same time says that the models are now more accurate than in the past. It stands to reason therefore that climate models used in reports prior to 5AR were even more flawed, which makes the absence of suitable cautions even more important. To put it simply the IPCC has never had any basis for claiming that greenhouse gas emissions have caused significant warming other than from the output of flawed climate models. Its claims on the matter have no credibility, nor its predictions of future temperatures, past temperatures, nor its claims about human influences on extreme weather events. It’s not only the IPCC that is leading the world astray, the UNFCCC’s claims about greenhouse gases causing warming, its future temperatures and probably it’s forthcoming announcements about changes in temperature since preindustrial times – in short its entire justification for the emissions reductions that it demands – are also based on flawed models. I hesitate to say that the statements from the IPCC and UNFCCC have been deliberately deceptive but the IPCC’s own words give us very strong reasons to doubt both organizations when their most critical statements are based on what flawed climate models say. One can only ponder whether attitudes to climate change would have been different if the IPCC had been completely honest.